Owning a pet of any kind is a huge commitment. And having a reptile as a pet is no different. 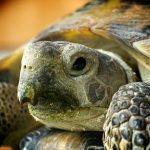 If you’re a first-time reptile owner, then you will want to steer clear of the iguana or pet boa constrictor. These are just not the best pets for the beginner. 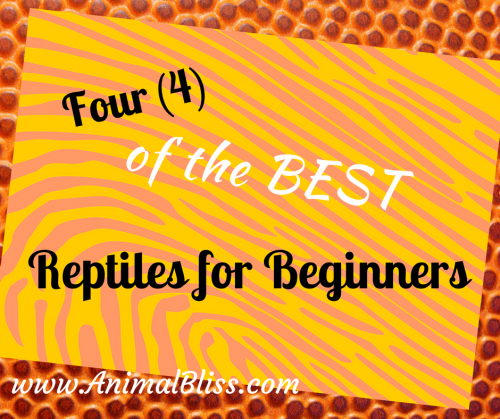 In this post, we will talk about 4 of the best reptiles for beginners. But don’t be fooled by the appearance of ease-of-care reptiles. Be prepared to put in the investment of your time and resources, which goes for any pet purchase. Be sure you’re truly ready for everything that will come with owning any pet. In the case of reptiles this means a proper habitat (a good sized tank and heating source), the food you will feed it, and the medical costs you might have to endure – yes, even reptiles have to see the veterinarian on occasion. So now that you are sure you’re ready to make this commitment, and a reptile is your choice of animal, what reptile should you get? Here are a few reptiles we’ve chosen to discuss because of their good temperament and because they will not require a huge habitat. 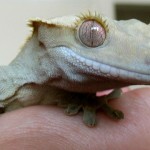 Because it’s small and remains that way, this makes the Leopard Gecko one of the easiest of the lizards to care for. With a 15-20 gallon tank for its home and no need for special lighting (because they are nocturnal), this is an excellent choice for the beginner. 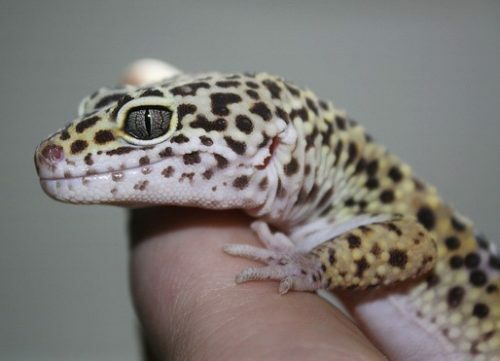 Leopard Geckos can be fed a variety of different kinds of live insects. 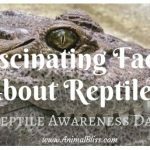 And, because of their docile nature, they are easy to handle, therefore making this a no-brainer when it comes to being one of the best reptiles for beginners. 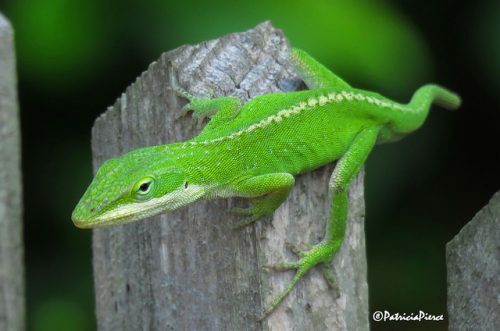 While green anoles can come in many different sizes (some even a foot long), they are small and thrive in captivity. They don’t do well with being handled, though, as this stresses them out. So if you’re not looking to carry around the green anole in your pocket and for something to pet, then this is a perfect choice. 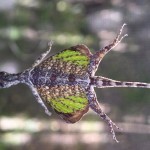 If you can fight the urge to handle the green anole continuously, then this could be a pet which will last you an average of about 8-10 years. 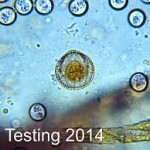 These quite little guys do require UVB lighting, and the tank size should be no less than 10 gallons. They like to hide, so they do require many hiding places of plants. Anoles will eat crickets and other insects. Be careful what you feed them since they are small, but insects should be something they can overcome. They can also on occasion have some fruit puree. As far as snakes go, these are probably some of the most docile and easy-to-care-for animals, a prerequisite for being one of the best reptiles for beginners. Keep in mind that all snakes will require whole prey, though. As adults, they will grow to be 3-5 feet long and can live for about ten years. One thing you have to be careful of with the Corn Snake is their Houdini-like acts. They are pretty good at escaping, so you’ll need to make sure your tank has a tight-fitting lid. A 20-gallon tank is a good-size enclosure for the corn snake, but it’s imperative that the lid is tight and secure as the corn snake will push on the top with its nose looking for any weakness, to get out. Corn snakes eat mice, and you will need to have the whole mouse. The size of its prey should be a little larger than its head. They do not require any special lighting, but the tank will need to be kept heated to a temperature of about 70-85 degrees. The Ball Python is a good constricting snake to own. They only grow to be 3-5 feet long. They can be very docile. The one drawback is they can be finicky about eating. 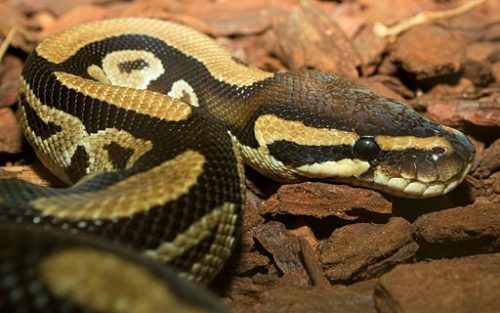 Diminish your chances of not having feeding troubles with this snake by looking for captive-bred ball python instead of one from the wild. One from the wild might be less expensive, but it will cost you more in the long run. Ball pythons have been known to live to be 20-30 years. They need a 10-20 gallon tank, but just as with corn snakes, they can escape, so make sure you have a secure lid. The tank needs to be kept around 80 degrees F, with a basking spot that’s about 90 degrees. Ball Pythons do not require a UVA light because they are nocturnal, but a colored light that is red, blue, or black is suitable. They only need to be fed about once every week or so depending on size and age. 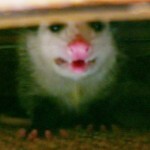 They require whole mice or medium-sized rats for their feedings. All of these reptiles will make a great first-time reptile, but as you can see they do need lots of work and care to maintain their proper habitat and feeding routines. If you’re willing to put forth the work, then any one of these reptiles would be the perfect choice for your beginner reptile. or any other plethora of reasons and excuses. It’s fairly easy to find reptiles that need to find a decent home by doing a Google search. I just did a quick search and here are just the first 3 to show up. There are many more reptile sanctuary and rescue sites, and there may be one near you. They will ship out to you as well if you live further away. 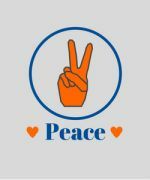 Have fun, and tell me what you get! Do you have a reptile as a pet? 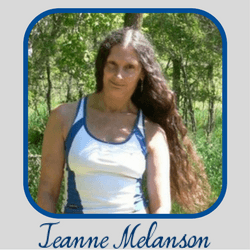 What do you have and why did you choose it? Draco Lizard, Is it Really a Flying Lizard?